Each February, Gartner releases one of its most important research reports: the Magic Quadrant for Business Intelligence. 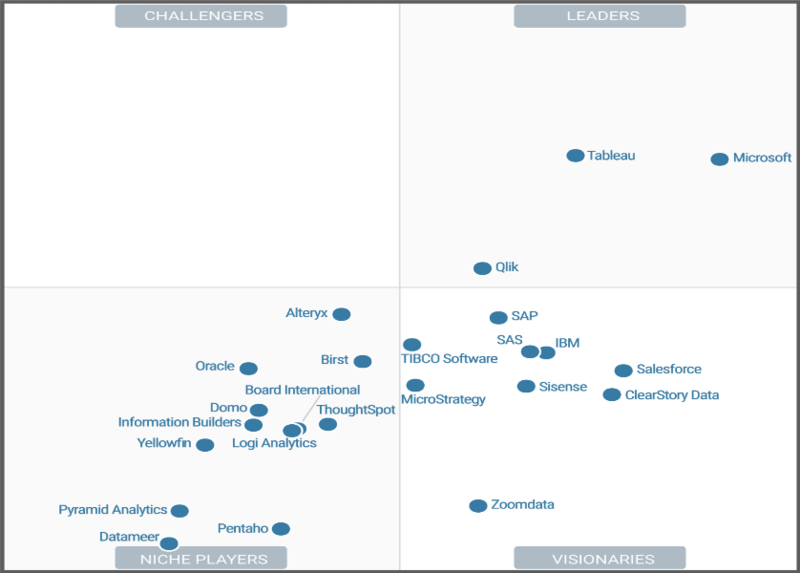 Two years ago, the name of this Magic Quadrant was changed, from “Business Intelligence Platforms” to “Business Intelligence and Analytics Platforms”, to emphasize the growing attention that organizations pay to having analysis capabilities, without needing to require help from IT or data experts. Each February, Gartner releases one of its most important research reports: Magic Quadrant for Business Intelligence. Last year, Gartner changed the name of this Magic Quadrant from “Business Intelligence Platforms” to “Business Intelligence and Analytics Platforms”, to emphasize the growing importance of analysis capabilities to the information systems that organizations are now building. Gartner has released the 2011 Magic Quadrant for Corporate Performance Management (CPM), a concept defined by Gartner (2011) as „processes used to manage corporate performance (such as strategy formulation, budgeting and forecasting), the methodologies that support these processes (including the balanced scorecard or value-based management), and the metrics used to measure performance against strategic and operational performance goals”.